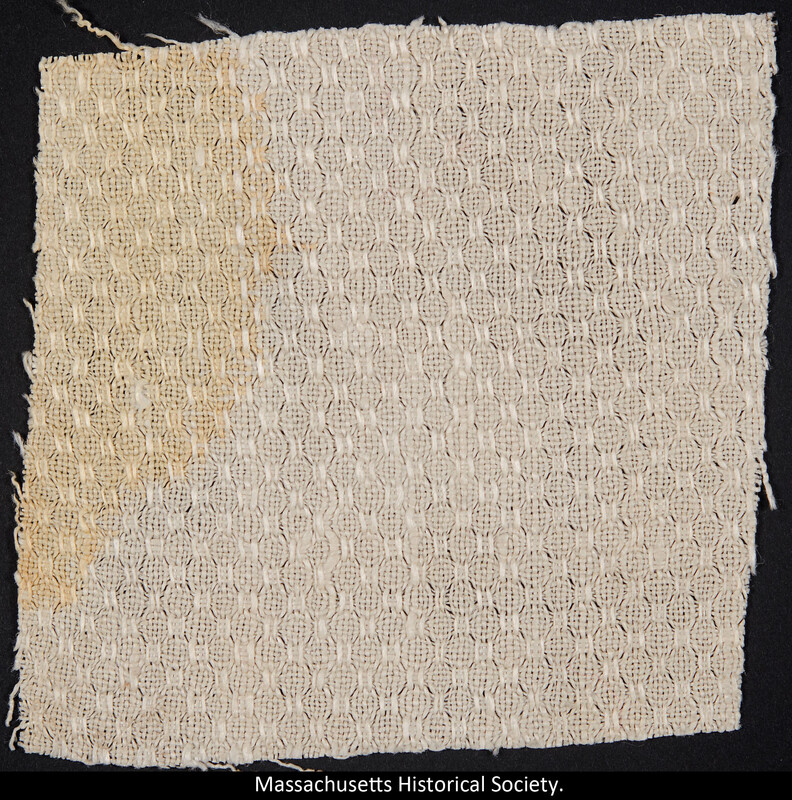 This piece of fabric is from a woven white linen towel and has a faded brown stain, the blood of Abraham Lincoln. This small artifact was sent as an enclosure in a letter dated 5 May 1865 from Augustus Clark, a War Department employee, to Massachusetts Governor John A. Andrew. Clark was one of the men who moved Lincoln, after he was shot, from Ford's Theatre to Petersen's boarding house.